Are you hoping to snag tons of last-minute online gifts? Here’s my #1 recommendation to help you raise the most money this week. There’s a lot of money at play for last-minute online gifts. Many donors will be inspired by the holiday season to be more generous. Many nonprofits are out there asking, asking, for sure. Let’s make sure YOUR organization snags your share of attention and money that might be out there for you. Think about it: Many of your donors will be online giving to something next weekend. Let’s make sure they give to YOU. The Chronicle of Philanthropy and Network for Good track of online gifts each year. They’re showing online gifts to be up around 20% from last year. What would it be like if you raised 20% more online this year? What could your organization accomplish? Let’s make it happen for you. The last week of the year is a hugely busy time for everyone. Your donors are preoccupied too – with family, friends, gifts, vacations. And yes, they will also be busy on December 30 and 31st making those year-end gifts. 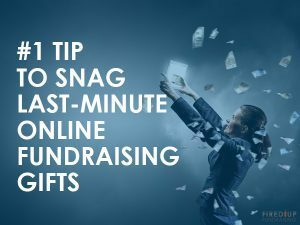 Make it super easy for donors making last-minute online gifts. Let’s be real. Just about anyone who visits your website during the last days of the year is there for one reason only – to make a gift. If that’s why they are on your site, then let’s respect their time, attention, and contribution. Bring the “donate” tab to them. Take down your home page as the landing page through the end of the year. Replace it with your donation page. 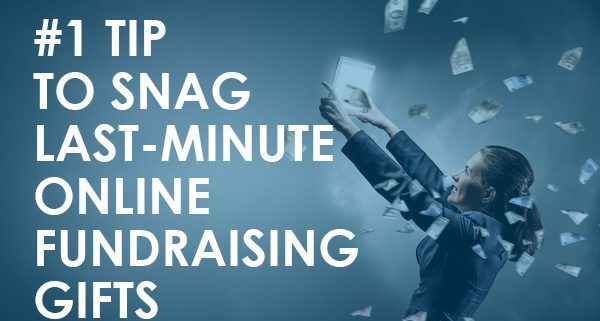 Then, donors will land on your website and immediately see your donation page. They won’t have to hunt, squint or search. They won’t loose their patience with you. Add a cool inspiring or powerful image to your donation page, too. It’ll spur your donor on – and make her happy that she’s able to help. You might have to fight someone to replace your home page temporarily. 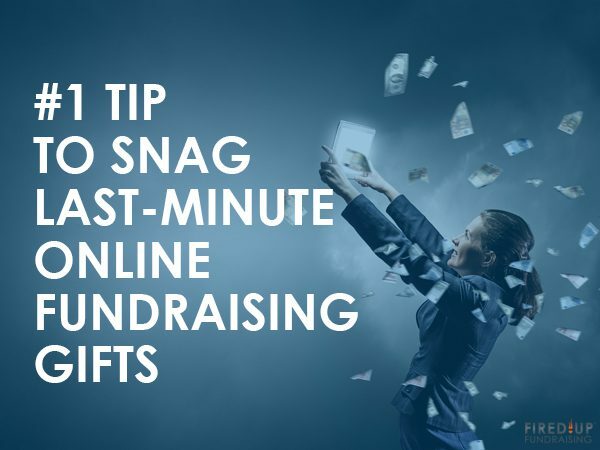 Don’t miss the chance to welcome your donors, and make it easy for them. 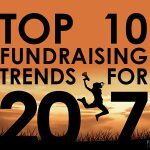 The last thing you want to do at this time of year is create more work for your donors. When you make them hunt for the “donate” tab, you run the risk of frustrating them. That might just drive them away – this year and any year to follow. Let’s take good care of your giving community – those lovely donors who care so much about your work. Make it as calm a process as possible. And make it a happy experience for them. When you make last minute online giving an easy and efficient joy, you inspire them to give again next year. This simple strategy can make all the difference between a frustrating giving experience – or a happy, joyful one. Welcome your donors with an easy donation process. Make them glad they are part of your support team!